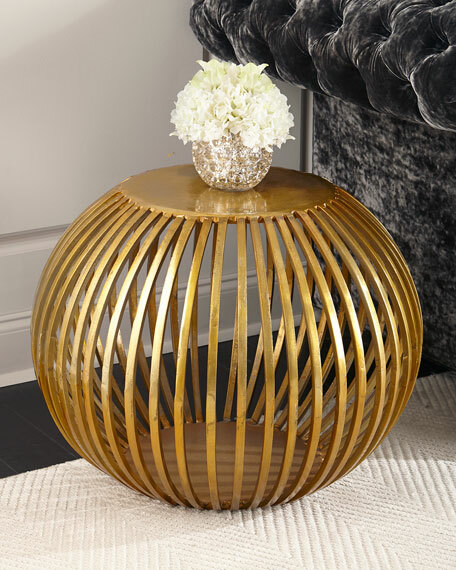 This uniquely shaped handcrafted side table is cast from aluminum and completed in an antique gold finish. 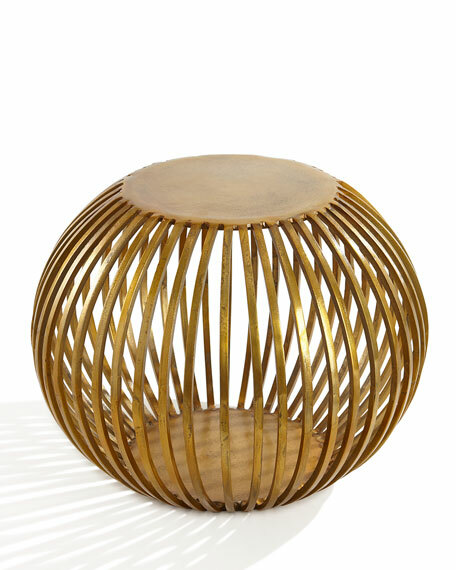 Handcrafted, hand-painted side table in cast aluminum. Approximately 27.3"W x 27.3"D x 20.5"T.